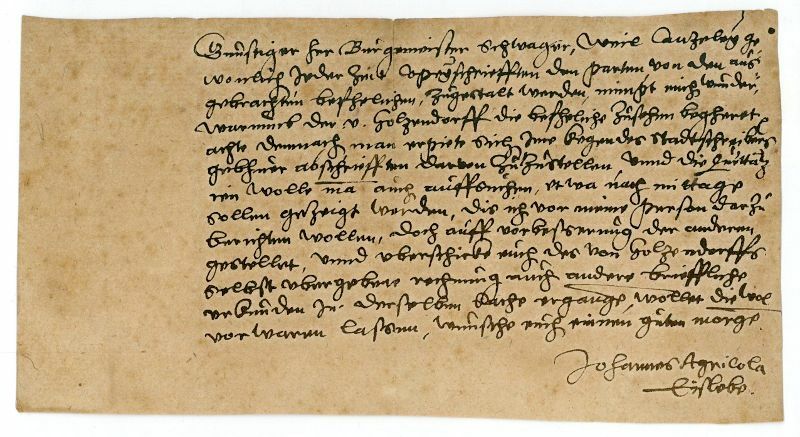 The eminent German Protestant was a follower and friend of Martin Luther, who became his antagonist in the matter of the binding obligation of the law on Christians. 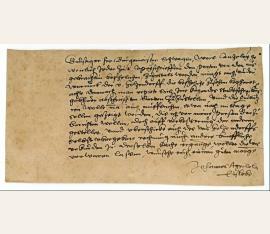 As a consequence of the bitter controversy with Luther, in 1540 Agricola left Wittenberg secretly for Berlin, where he published a letter addressed to Frederick III, Elector of Saxony, which was generally interpreted as a recantation of his obnoxious views. 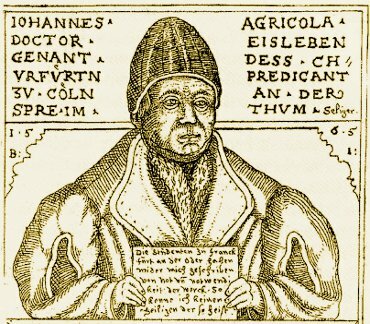 Luther, however, seems not to have so accepted it, and Agricola remained at Berlin. Joachim II Hector, Elector of Brandenburg, having taken Agricola into his favour, appointed him court preacher and general superintendent.